Distributors: 10486134 - Coil to Ignition Patch Wire (New #10486025). from California Marine. 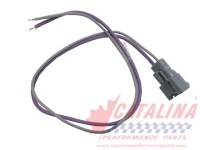 Description Coil to Ignition Patch Wire (New #10486025).